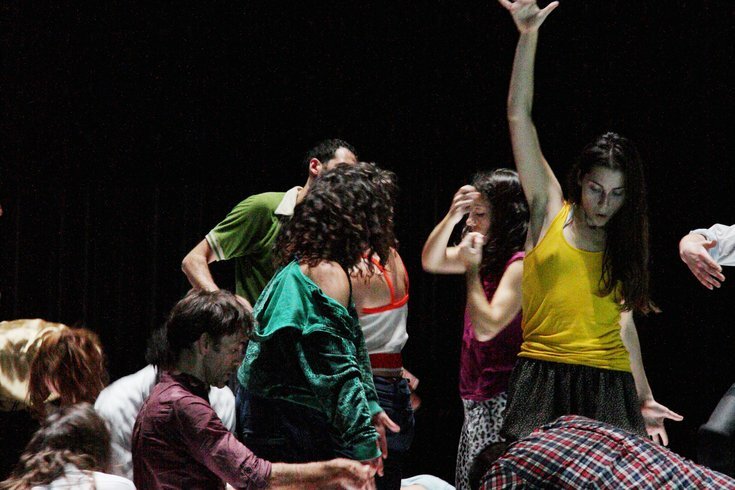 Boris Charmatz: Dancing Dialogues, Sept. 7-10, is a residency of performances, lectures and workshops, plus the acclaimed "Levée des Conflits" for 24 dancers presented by Drexel University and FringeArts. When the visual components of art meet the energy of live performance, the final product is an experience of synergized creativity and human expression like no other. On Sept. 9 and 10, the Westphal College of Media Arts & Design at Drexel University will host two dance workshops, talks and performances featuring Boris Charmatz. The French artist is renowned for his unique ability to seamlessly combine contemporary movements with expressive representations of the archetypal existence of humans. The performances will be prefaced with dance workshops led by Charmatz, featuring many of the movements that are performed in his choreography. Charmatz’s ability to represent the underlying truths that define humanity through his own authentic style is what makes his work so extraordinary. The open dance workshops will give the audience an opportunity to feel the performance for themselves — allowing spectators to step into the performance and experience the complex and fluid motions of the choreography. This interaction will not only get your blood moving, but it will also create a connection between mind and body. The workshop will let attendees learn the movements and how they are put together, face-to-face with the artist from which they originated. The performance, entitled "Leveé des conflits," or "Suspension of conflicts," metaphorically mimics the conscious and subconscious human experience, targeting larger social questions through physical representation. Charmatz uses the performance as a vehicle to encompass his beliefs and evoke an emotional response. It expresses the ideas of human culture and the shared characteristics and habits that transcend geographical boundaries. The dance defines the multitude of coexistence — singular movements performed by many dancers. The performance is inherently oxymoronic and does more than blur the line of visual and performing arts; it forces collaboration between mind and body, which can only be defined as a static change or dynamic consistency. Using his platform, Charmatz dismantles opposites and compiles them into one fluid stream of experience. "Leveé des conflits" offers an abstract reflection on the archetypal existence of humans. The many movements create one fluid performance, much like the way humans shape the world. This postmodern art form is non-confinable by any rules and should be experienced as one full expression. When examined, experiences from one’s own human condition can be found in the movement of the dance. Any person inspired to express themselves through movement or to observe a truly one-of-a-kind art form is encouraged to join Boris Charmatz on Sept. 9–10 at the Westphal College of Media Arts & Design at Drexel University.